Just yesterday I wrote a story about how much the founder of Rolex, Hans Wilsdorf admired American inventor, Thomas Edison. 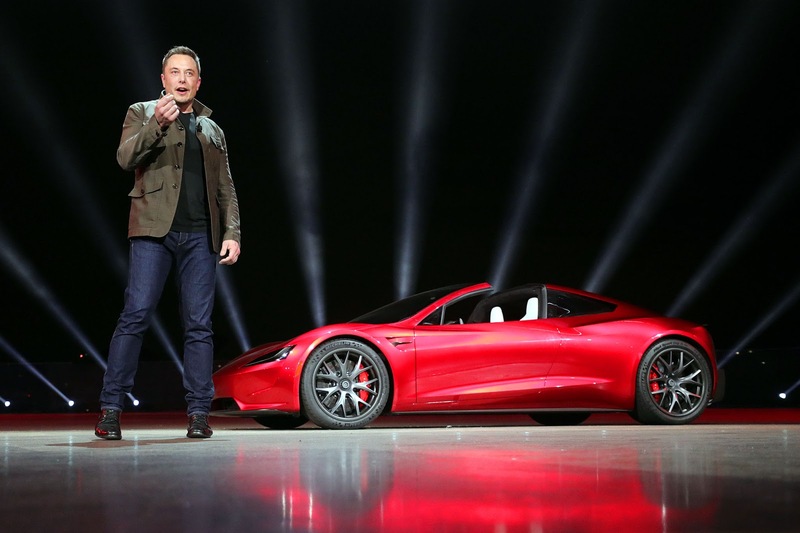 This is ironic, as Elon Musk is not only the Thomas Edison of our time, but also the Henry Ford, and Nikola Tesla—all bundled into one person. 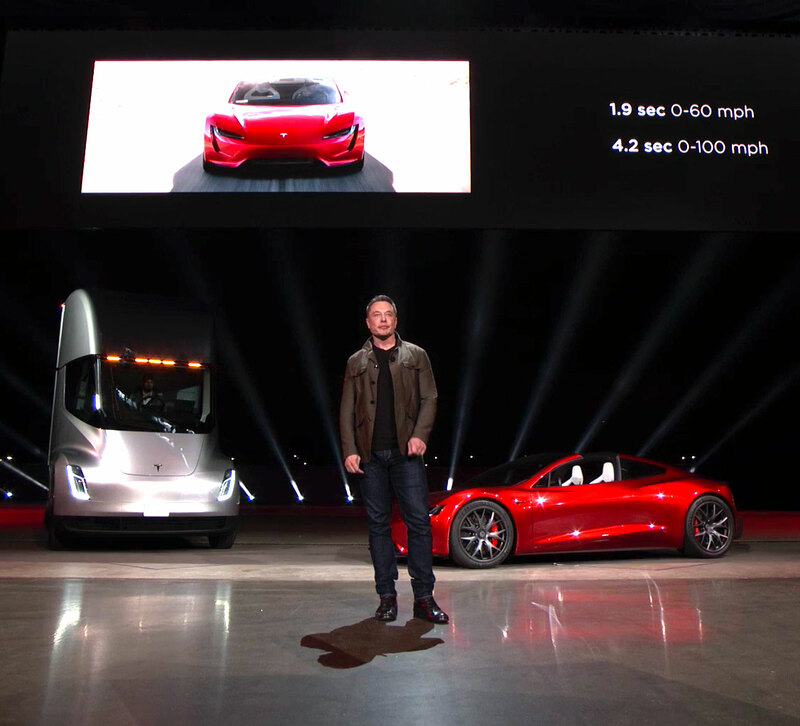 Tonight, in Southern California, Elon Musk just unveiled the new Tesla Trucks, and surprised everybody by unveiling the upcoming next-generation Tesla Roadster which can do 0-60MPH (97KPH) in 1.9 seconds, making it the faster production car ever made!!! 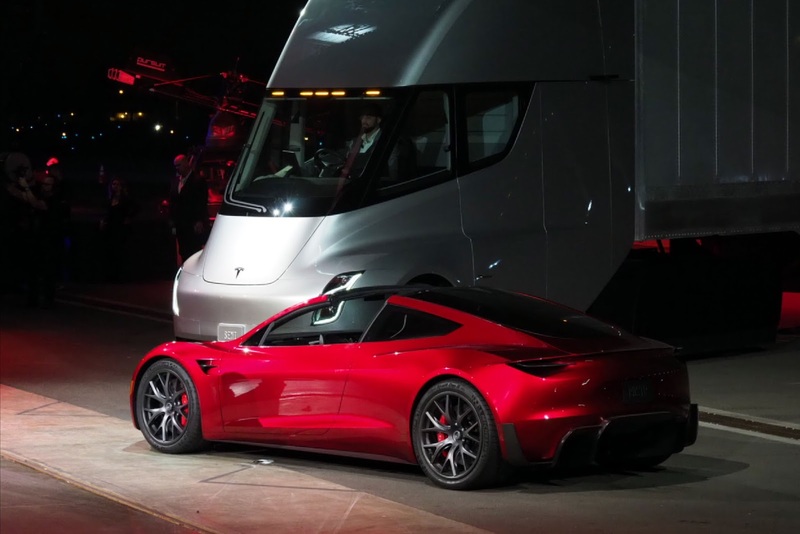 Tesla semi-truck next to next-generation Tesla Roadster. Photo appears courtesy of TechCrunch. 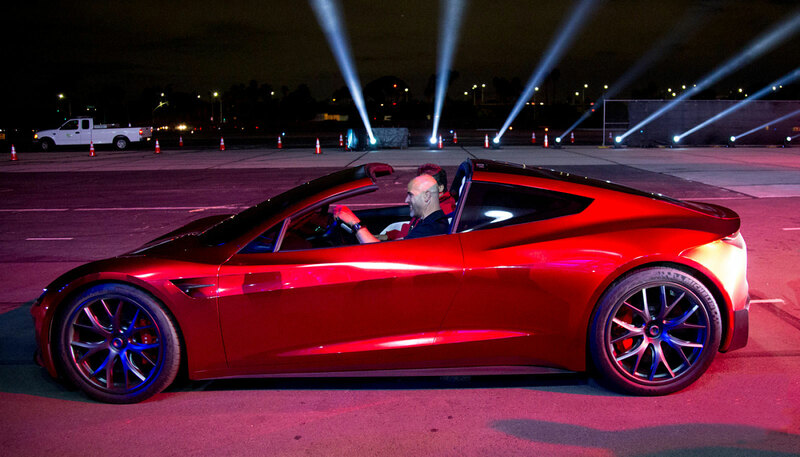 Photo of Tesla Roadster appears courtesy of Engadget. 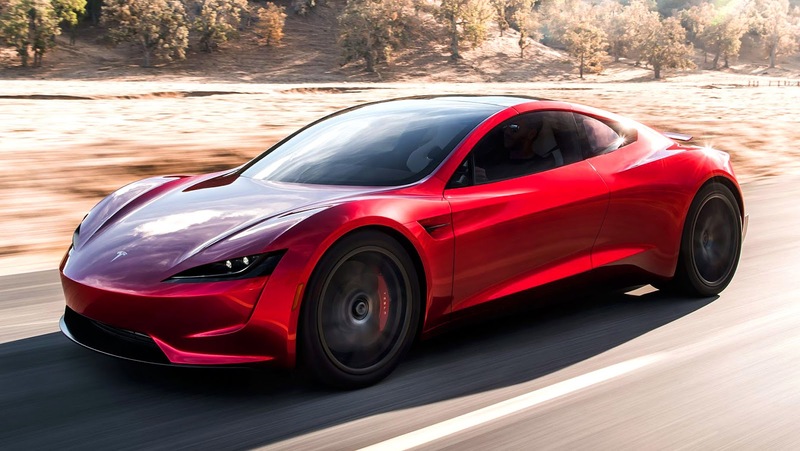 And even crazier, it has a 620 Mile range, achieved by a 200 Kilowatt hour batter, which means it will be able to drive from San Francisco to Los Angeles and back on one charge!!! 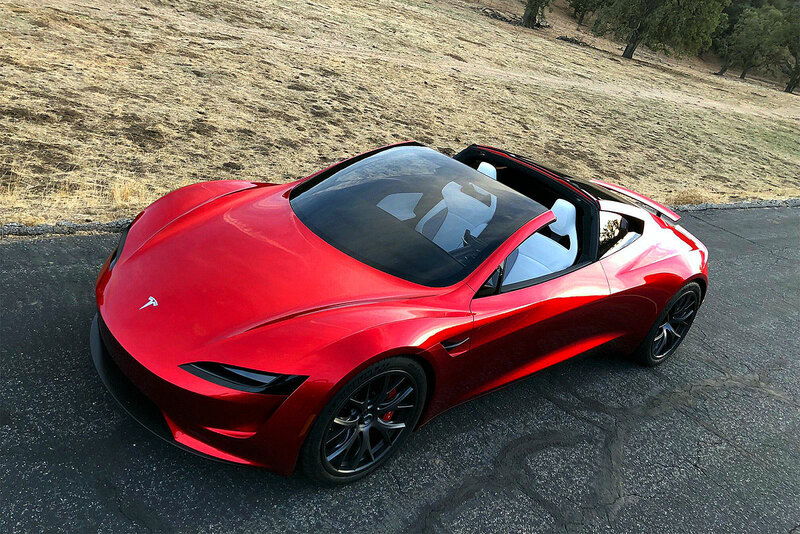 On a side note, the fact the upcoming next-generation Roadster has a 200 Killowat hour battery, that can travel 620 miles before it needs to be recharged, is probably a sign of things to come for the Tesla Model S and Model X, which currently max out at 100 Killowat hours. Basically, this could very well be the death knell for internal combustion engines, assuming a Model S or X Tesla could travel over 600 miles on one charge! I almost forgot!?!! 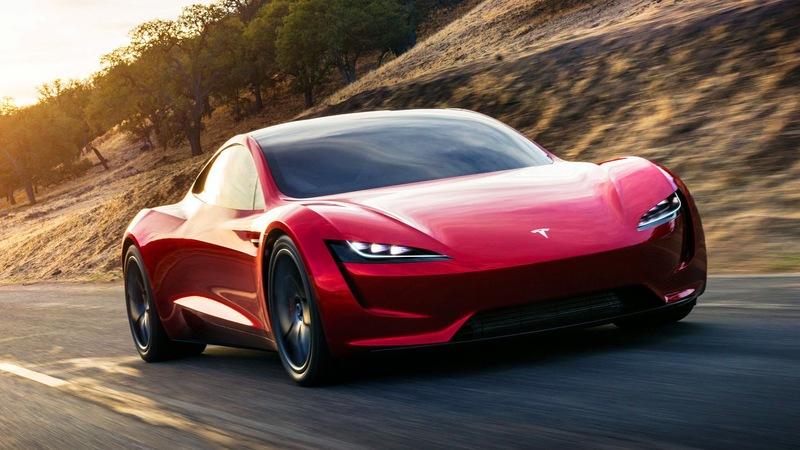 The star of the Tesla Keynote this evening in California was supposed to be the new line of Tesla Semi Trucks, as seen below. These vehicles represent a complete game-changing disruptive technology. Basically, in about 10 years there will be no more diesel trucks on the road. Instead, we will see these Tesla Semi Truck driving up and down the highways of the world with complete autonomy. In other words, they drive around and pick up and drop off cargo without even having a human on board. 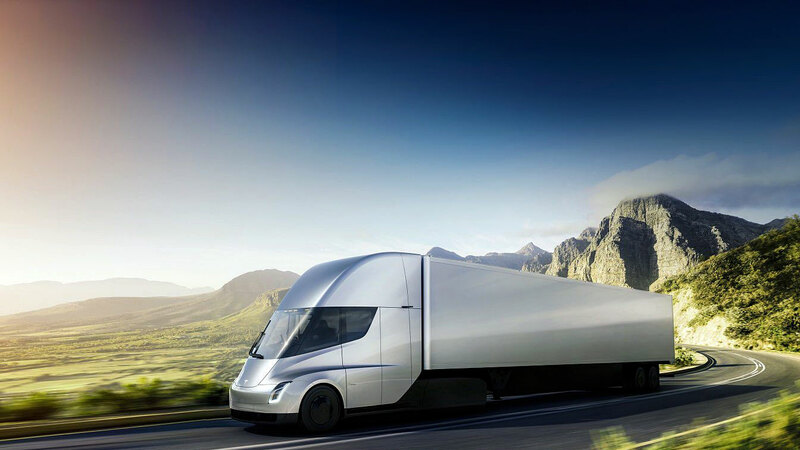 This will make highway driving much safer while significantly reducing freight cost, not to mention it will be much more environmentally friendly as these Tesla trucks will be powered exclusively by solar power generated from sunlight. During Elon Musk's keynote, which can be seen in the video above, he mentions how the only speed beyond Ludicrous is Going Plaid, which you get to witness yourself in the video below. Going Plaid is a reference to the movie Spaceballs, which was a Mel Brooks parody of the original Star Wars Trilogy. Going Plaid is a play on Hyperspace. Now that I think about it, we are living in a fascinating time where many things are going plaid so to speak. Beyond the Tesla, there was the recent release of the iPhone X, not to mention Paul Newman's Rolex Daytona selling for close to $18 Million, which was definitely a great example of something Going Plaid!!! Now that I really think about it, Sir Jackie Stewart comes to mind when I think about Going Plaid and Super-fast cars.